In the US state of California, a wet winter no longer protects landscapes from the kind of intense wildfires the state’s been experiencing lately. A new study published Monday analysed the historical relationship between wet winters and extreme wildfires. Over the past 400 years, the two rarely overlapped, but that’s all changing now. The paper, published in the Proceedings of the National Academy of Sciences, uses climate models and weather records to piece together this relationship. The international team of researchers—from places like the US National Oceanic and Atmospheric Administration and Germany’s Institute of Coastal Research—found that the North Pacific jet stream, which is usually responsible for California’s rain, determined whether the state would suffer an awful fire season between 1600 and 1903. A lot of rain from December to February typically meant a low-key wildfire season. However, that link weakened after 1903. Fast forward to 1977 and the link between the jet stream-induced rainfall and wildfires is pretty much gone. That’s for two reasons, said lead author Eugene Wahl, a palaeoclimate researcher with NOAA’s National Centers for Environmental Information. First, federal fire suppression policies, which began following the removal of Native Americans from their lands. Native Americans practised subsistence burning, which reduced fuel for wildfires. Their removal (and genocide, combined with the new fire suppression policies, led to the build up of massive amounts of fire fuel. “This helped uncouple the winter Jet Stream activity from the following fire season conditions,” Wahl said in an email. On top of that physical alteration to the environment, now there’s climate change. Our carbon emissions are causing temperatures to rise, which is resulting in a longer, hotter fire season. This allows wildfires to thrive despite the increased wet-season moisture the team expects California will see in our changing world. In fact, increased wet-season moisture could increase fuel loads in the same way that fire suppression used to. Just look at 2017. That year saw a very wet winter, per the study, yet it still experienced extreme events like the Thomas Fire and Tubbs Fire, which were responsible for a combined 24 deaths and 318,7000 acres burned. The fact that such extreme wildfires happened in a year with extreme rain is a major shift. The researchers couldn’t find a single such instance between 1600 and 1903, before fire suppression techniques began to infiltrate western forests. The end of the connection between high water seasons and low-impact wildfire seasons in 2017 could mark a new era. 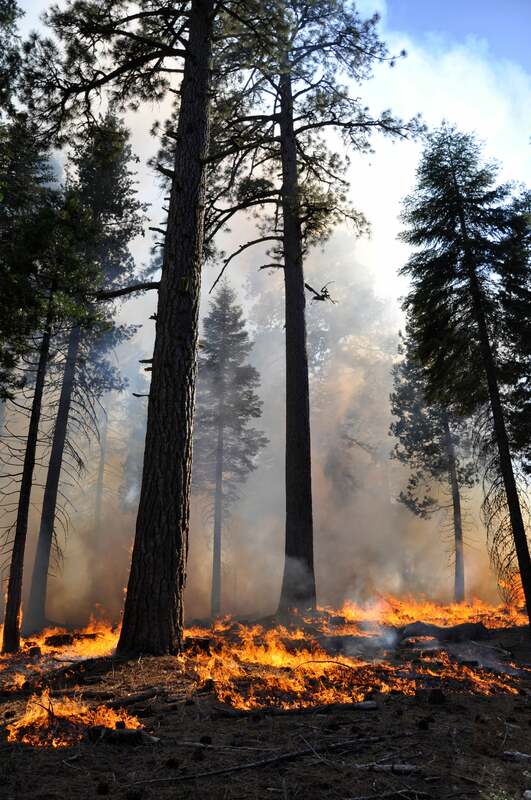 California officials now know fire suppression is bad policy and support prescribed burns, but that doesn’t mean the fuel build-up from that policy will just disappear (say nothing of the effects of climate change). This is bad news for California communities, especially the low income communities of colour who are most vulnerable to wildfires. Heavy rains might not be enough to keep them safe anymore.